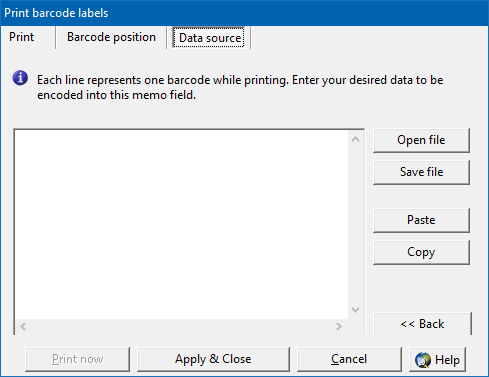 Next open the ActiveBarcode Generator. If you not yet adjusted the label sheet type you use, select "Setup label sheet" from menu "Print" first. Clicking on the "Paste" button here. The data copied out of the spreadsheet is inserted now into the data source for the labels. 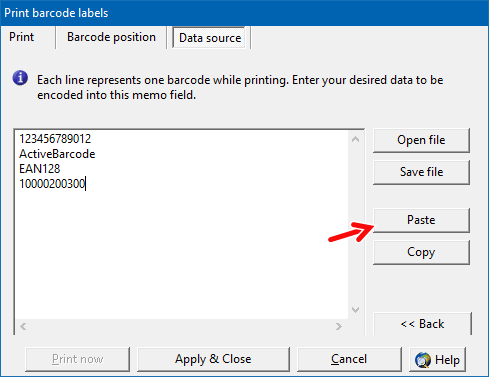 Now you can change optionally to the "Barcode position" tab in order to change the position and the size of the barcode on the label. For starting the print, you change now to the tab "Print". 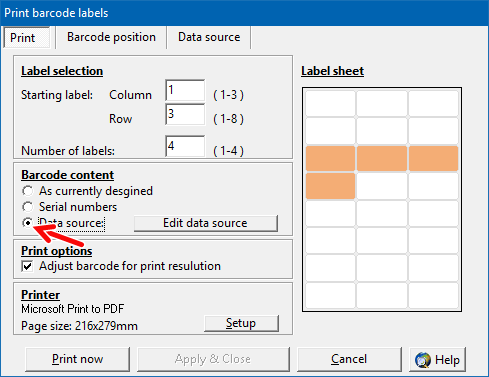 Have a look at the "Barcode content" and select "Data source" here. Also select the starting label and the amount of labels. Finally hit the "Print" button to launch the print of the labels.